Transformers: Lost Light issue 20 is still a month away, but until it arrives in comic stores, we can marvel at the excellent cover art by Nick Roche. 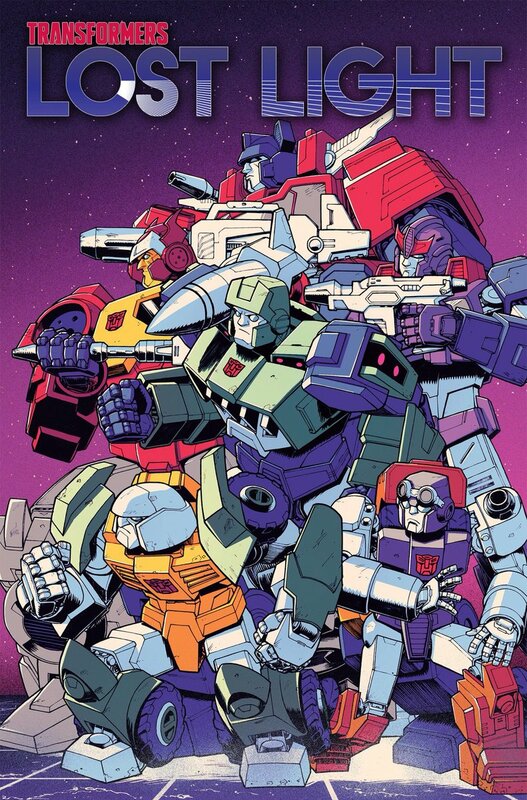 Nick Roche’s variant cover shows a crew of classic Generation 1 Autobots getting ready for a firefight. The crew includes various less frequently seen members of the original lineup, such as Huffer, Brawn, Bluestreak, Hound, and Inferno, alongside the slightly more frequently seen Blaster. 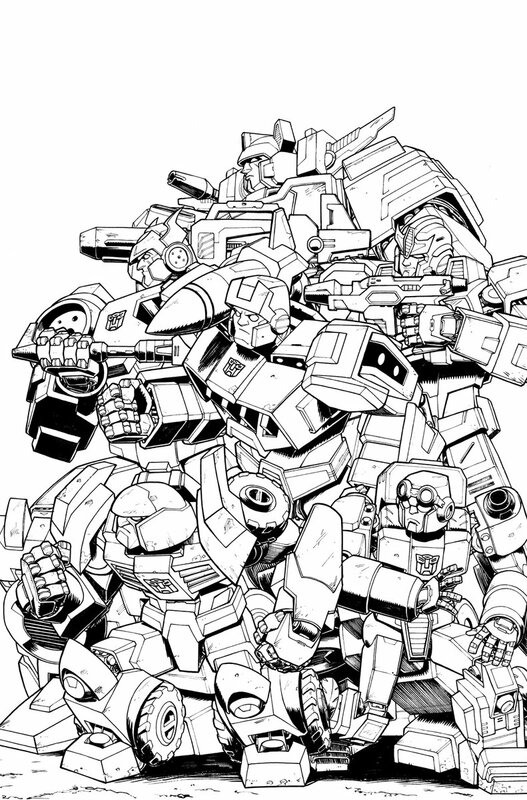 To top off the excellent artwork, there is also a look at Nick Roche’s original linework for the cover sans colors.